Radiant barriers are sometimes called reflective insulation. These barriers are meant to stop or limit thermal radiation from transferring heat. In the summer as the sun beats down on your home, the temperature inside can also rise. 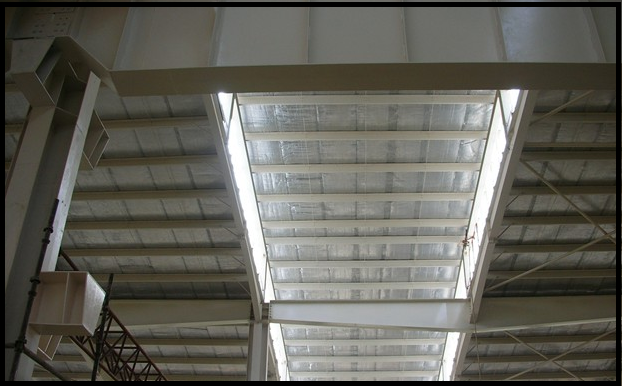 This type of insulation is meant to reduce the heat created by sunlight. These radiant barriers are usually installed in the attic of your home. They keep your home from absorbing the heat from the sun and hotter temperatures of the summer months. This will help keep your home cooler in the summer months without constantly running your air conditioner. This will also make your home more energy efficient and help to keep your energy bills down. A combination of radiation, convection and conduction helps heat move from heated areas into the cooled areas of your home. Conduction is directly responsible for moving heat from a heated area into a cooled area. Imagine if you put a metal spoon into a pot of heated spaghetti sauce. Conduction will move the heat of the sauce up the handle of your metal spoon and warm your hand. Convection creates a heat transfer when a gas like air becomes heated. The heated air is less dense and rises. When the air cools, the density increases and the air falls. Traveling in a straight line, radiant heat will raise the temperature of anything that will absorb it. It is absorption where the radiant barriers are helpful. It works to reduce the amount of radiant heat gain. This type of barrier must face an open space to be effective. You will want to make sure that the radiant barrier or reflective insulation is kept clean. As dust builds up, it will not be as effective as a barrier to radiant heat. There are ways of installing the radiant barrier that will minimize the dust build up too. In the summer months, your roof is heated by the radiant energy from the sun and it makes the roof hot. Conduction will help the heat of the roof travel through the roofing material into your attic. This heat will cause your attic to become hotter and your entire home. If you have a radiant barrier inside your home’s attic, it will reflect this heat back on to the roof. This can help keep the sun’s radiant energy from heating your attic and the rest of your home. Using a radiant barrier in your home can make your house feel cooler with less energy use. To learn more about a radiant barrier, contact USI online to request a free quote. USI believes that excellence in every step of the process ensures timely completion and quality service, time after time. ← How to Reduce Energy Use In the Typical Home?